As a part of the Society of Publication Designers' 2014 Student Design Competition, these two spreads are geared toward a city/regional magazine. 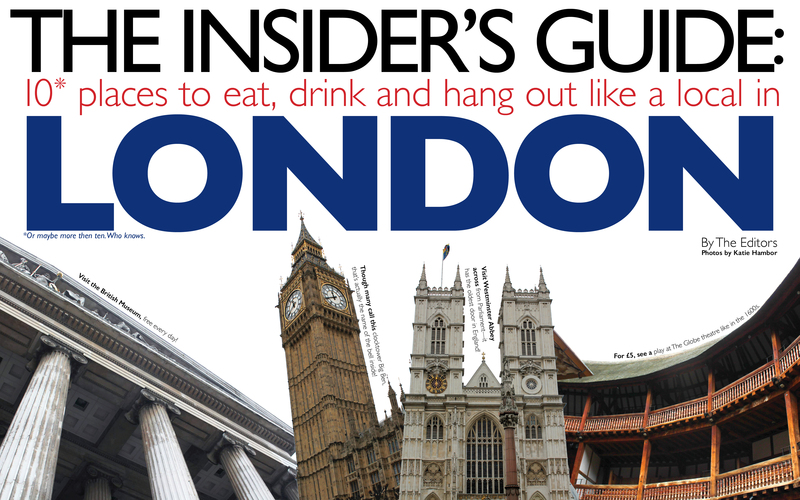 The requirements were to design a story with the title "The Insider's Guide: 10 places to eat, drink and hang out like a local in [Name of City], By The Editors." The spreads contain all original photos and body copy. 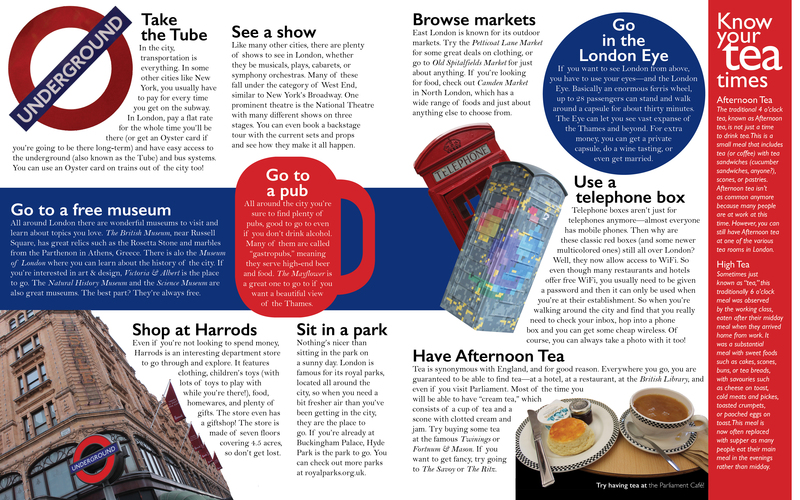 Click on each image to view in full, or view a PDF.